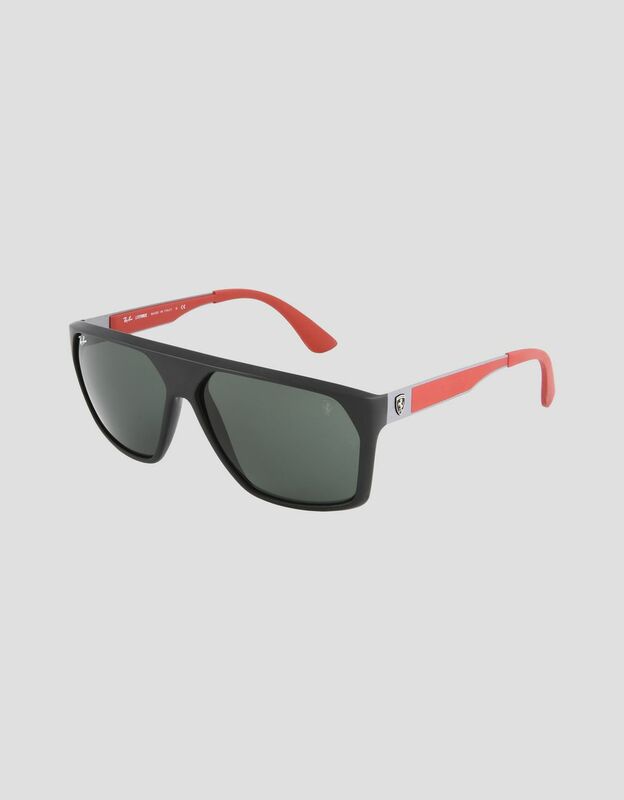 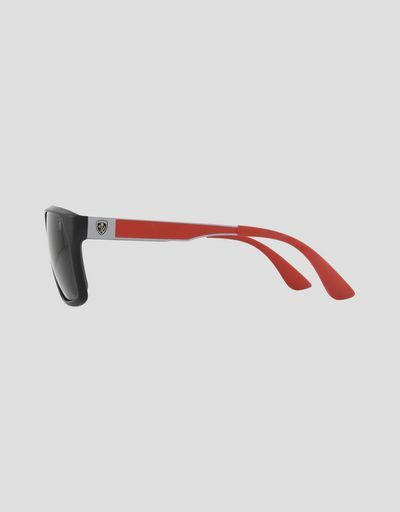 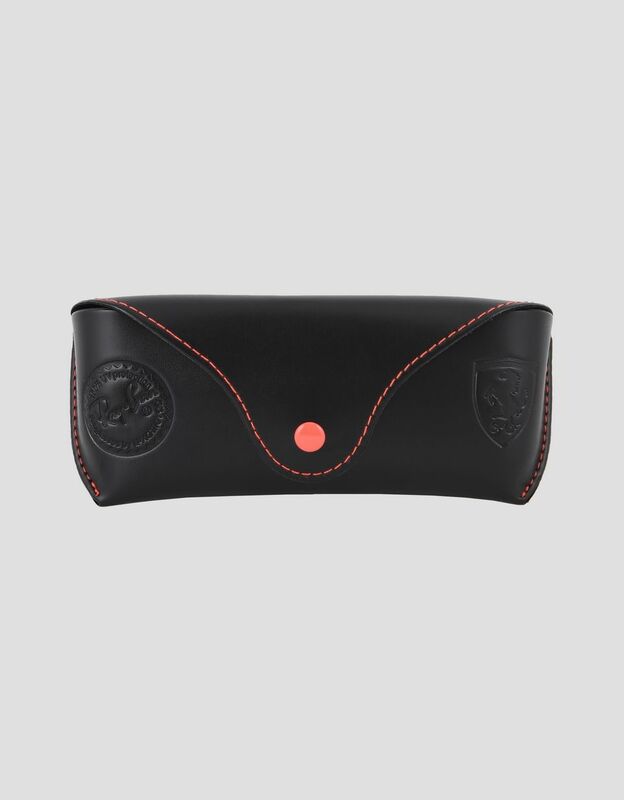 These sunglasses by Ray-Ban and Scuderia Ferrari are inspired by the iconic designs worn by F1 racing drivers. 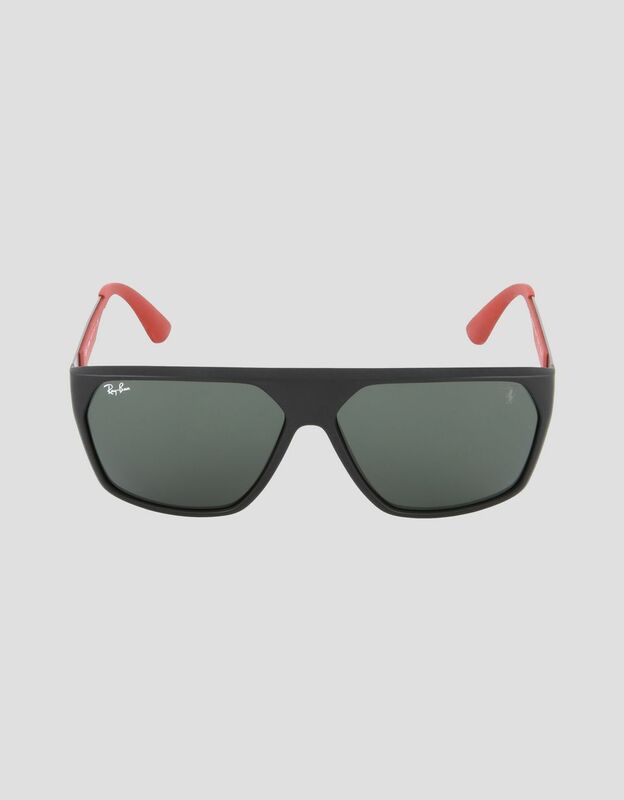 The new 0RB4309M design combines a geometric silhouette with an innovative PEEK structure. Bold, dynamic lines are reminiscent of lightweight yet resistant racing car frames, evocative of life in the fast line, whilst steel and rubber temples guarantee optimal comfort and robustness. 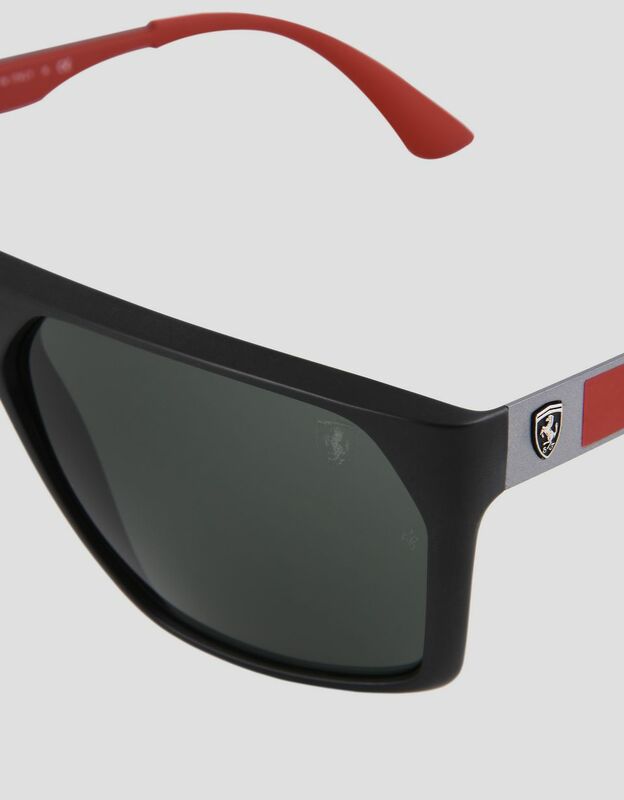 These sunglasses, dedicated to adrenaline-seeking Scuderia Ferrari racing car enthusiasts, are customized with Ray-Ban and Scudetto Ferrari logo details on the frame and lenses.